Valtteri Bottas declared “to whom it may concern, f*** you” as he took the victory in Sunday’s Australian Grand Prix. It was an uncharacteristic outburst from the amicable Finn and summed up a year’s worth of frustration after a winless 2018 season saw him criticised by many, called the ultimate number two driver. In Australia, he proved he isn’t. 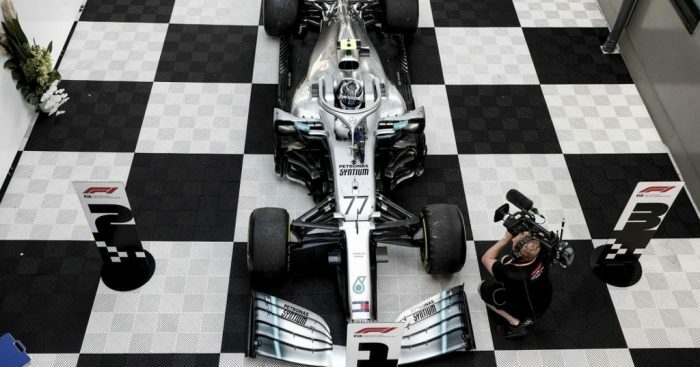 “It just came, I just wanted to send my best regards,” Bottas explained. “There are always ups and downs, and you can really see the true support quite easily. “And then through the difficult times there’s the other part, which is a lot more negative. Asked who the comment was intended for, he replied: “It would be quite a long list, unfortunately, that’s how it goes. Bottas wrapped up a perfect Sunday afternoon in Melbourne by scoring an extra point as he also set the fastest lap for the grand prix. And while the 28-year-old concedes last year’s criticism wasn’t entirely unfair, he’s happy that he has silenced his detractors. “I can’t say unfair, because everyone can say what they really want. “Just for whom it may concern, maybe they should look in the mirror sometimes and think actually why they do that.